Crown Prince Frederik of Denmark has apologized for driving across the country’s biggest bridge while it was closed during a major storm. Gale force winds had made the Storbelt Bridge too dangerous to cross. The prince was allowed to pass the bridge’s barrier for his own security. 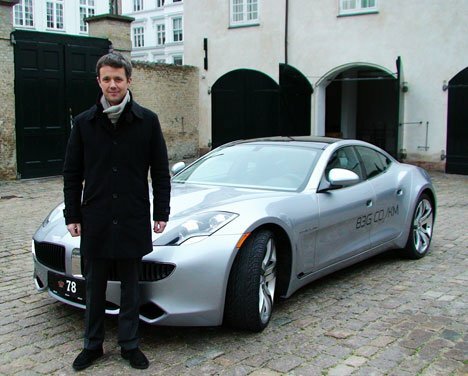 However, unlike other drivers who had to wait for the weather to improve, Prince Frederik, 46, drove on to cross the one mile bridge heading home to the capital. The director of the bridge described the prince’s decision to drive on in the midst of the storm as “completely unacceptable and completely irresponsible”. While royal traffic offences are normally dealt with discreetly, police on this occasion publicly asked Crown Prince Frederik for an explanation. Following complaints by other drivers who were not amused to be stranded while watching their monarch-to-be drive off unhindered and escorted, an apology was promptly delivered. The royal household’s head of press, Lene Balleby told Danish broadcaster DR: “The crown prince is sorry about what happened and understands that the situation adds to the frustration and anger of those people who had to wait hours to cross the bridge”.